Excuse the slight tardiness in today's post. 24 hours goes by hella fast, and I digress that I never found the time to write my monthly update this past week. To adequately sum up February in one word, sailing is the chosen word, no doubt. 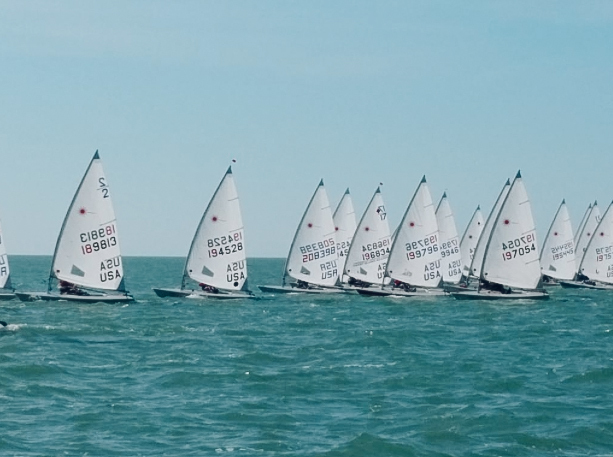 If you didn't know from Instagrams of boats and sunsets, I spent a lengthy ten days in Clearwater Beach, FL to train and to compete at Lasers Midwinters East Regatta. Most definitly the hardest fleet I've ever competed in, along with tough conditions. But hey, one crucial thing I learned? Hard work pays off. I'll refrain from updating you play-by-play of wind shifts and tactics from the race course, but if any of you sailors are interested, my inbox is open. Nothing fell under new in terms of place, but traveling was the main focus of this month. Next month (jokes, this month) also focuses on travel once again. When returning to the frozen tundra of CT, I spent about 10 minutes sitting in my room, cocooned in blankets, writing memories from Florida on Post-Its. Dead serious. Even though it's already March, I cannot recommend enough starting a memory jar. Oh the lols, I'll have when reading them come December. As for the GoPro video? Think sharks, sunsets, and sailing coming to your screen as soon as yours truly finds the time to edit roughly 6 hours of video. Those changes I was hinting on last month? My email has been flooding with talk of it. Like that video? Coming to a screen near you soon. I wish I could share, but I'm trying to keep this one tightly-sealed. Sorry, Meghan Trainor, my lips aren't movin. I think sailing can state I successfully fulfilled this goal. Along with other events from this month, hashtag yolo is going strong. Do I really need to answer this one? Uhhh... read above. As for gym time, back at it since Friday. Whoever said buying pieces you only love needs to be a small quantity lied. I went a little crazy last night- of course, the last day of the month- but so worth it. Damn it Mother Nature, these 20 degree days are heavily influencing my online shopping. Wait, this post is seriously awesome, you keep doin' you, girl!! And I loved that you used hella. It's a very northern california thing to say, haha!